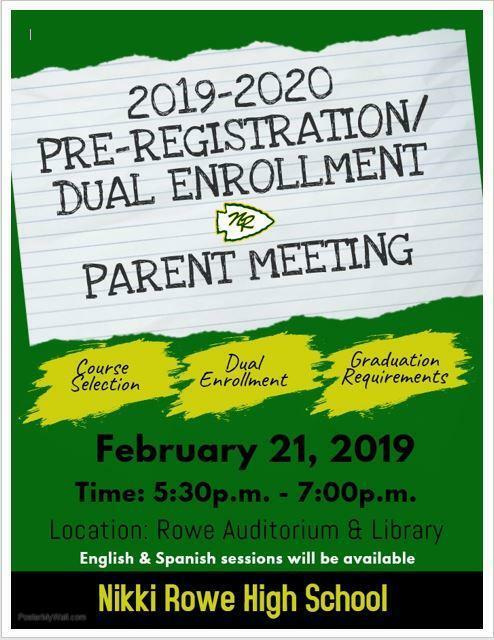 On February 21 at 5:30 p.m - 7:00 pm, A parent meeting will be provided for the parents of dual enrollment students. The meeting will go over pre-registration, course selections and graduation requirements. There will be sessions provided in English and in Spanish. See attached flyer for more information.